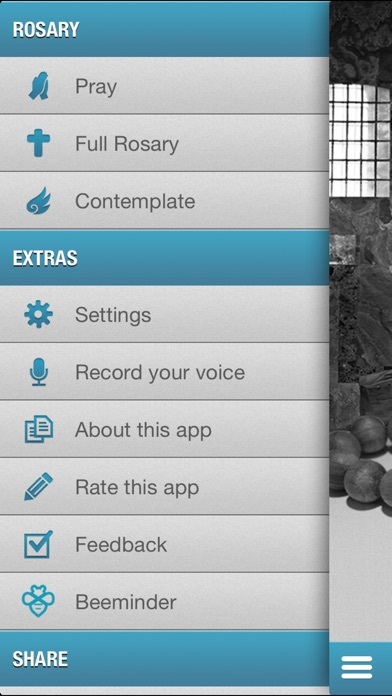 This is my go to app for the rosary. 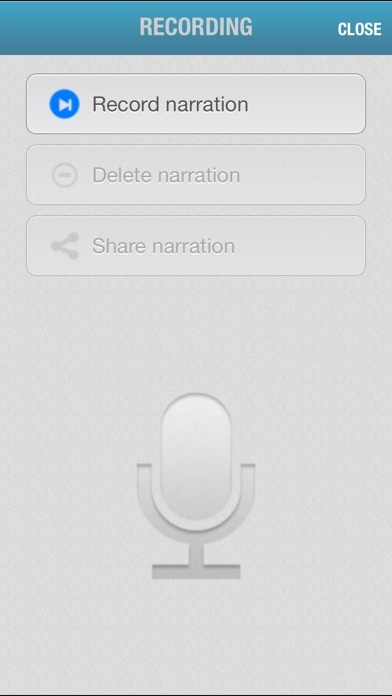 I appreciate the settings which allow you to speed up or slow down the audio version. One improvement I would suggest is s darker contrasting color to mark the prayers, instead of The difficult to see yellow that is currently being used. And a small bug: the apostles Creed is truncated so I usually skip it and say it myself to begin the rosary. I love this app would like to see more like it! Makes praying the rosary easy and meaningful . 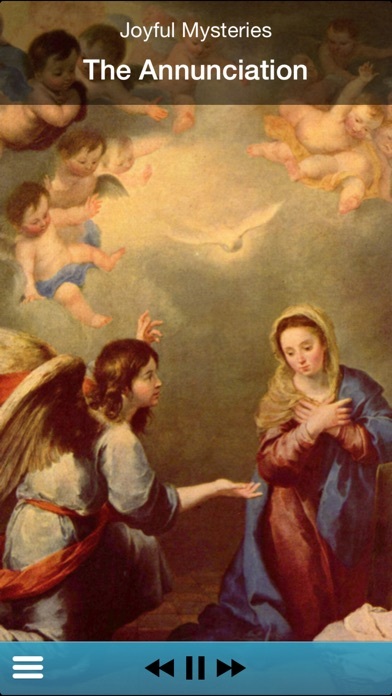 This is beautifully spoken and a wonderful way to follow along and say the rosary. I love the way it knows the day and the correct mystery to say. I think everyone would benefit from using this app daily. While the app works well generally there are three flaws that need to be resolved: first, the Fatama prayer (O my Jesus) starts out fine, but than half way through it sprints to the finish; secondly, there is no second half to the Apostle's Creed. Finally, the Hail Holy Queen is dramatically different depending on which mysteries are chosen. Tried to offer these notes on the developer's website , but could not find a place to comment. Update 1: I received an email from the developer that the version of the Hail Holy Queen is dependent on which voice is chosen. Choosing Barb as the voice helped. The Creed is still missing the second half. I have been using this app for a long while and I can say it is wonderful! I pray the rosary everyday and it has helped me in my faith life. 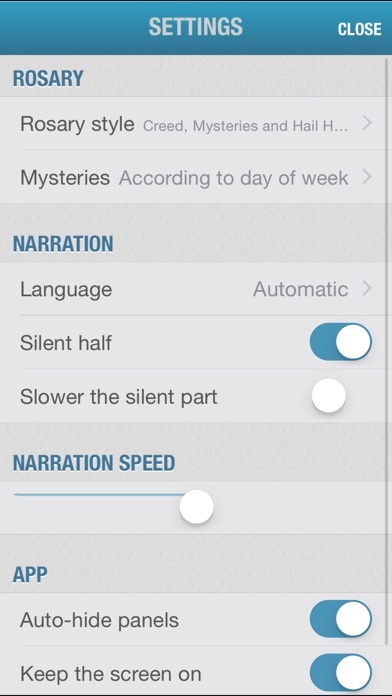 I appreciate the different voice options and love the beautiful art that follows each mystery. Very recommended! I was so excited about this app and I still would recommend it to my friends and family but I was so very disappointed with the ending. Why go to all the trouble to have such a beautiful and traditional Catholic app like this and at the very end place a very ... Modern rendition of the Hail Holy Queen, so modern in fact I couldn't even follow along and I have taught Parish school of Religion and Liturgy of the Word to the Children of our church for years. Please fix! This app is truly a blessing! I've recorded my rosary and follow along with it daily! I love it! I used to know this as the rosarium don't know why they change the name but I had to reload it on my iPhone 4s I do like it a lot because you can set the speed of the voice, you can select the prayers that you want or don't want. I think overall it's just a very handy thing to have when you need to pray a quick rosary or when you're in the car driving. By the way the Hail Holy Queen prayer is cut off at the end, any chance you could fix that? It sure is irritating. I just purchased this app and I'm very happy with it. 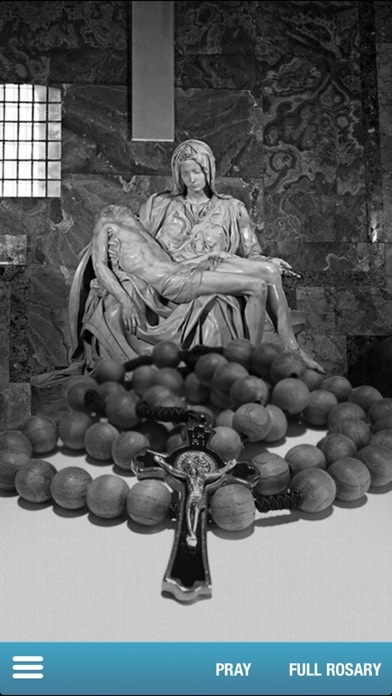 I'd love the fact that I can pray the Holy Rosary in three languages: in Spanish (my native tongue), English and Latin (which I just learned some of the basic Catholic prayers). I love the convenience of having a great app to pray along with. I would just add the ending of the Hail Holy Queen prayer (Oh God, whose only begotten Son...)... I highly recommend this app.